Wow, week thirteen came upon me so quickly and as my thumb was feeling better, I was going to tackle something more savoury, something like one of the bread recipes which can take some time-and kneading! But come Saturday morning, i was struck with the worst migraine I have ever had, nausea, sickness, banging head, and no tablets would touch it- I was put back to bed and Saturday was a complete washout. I felt a little better on Sunday and went shopping, taking it easy as I could feel the headache still there….sigh. 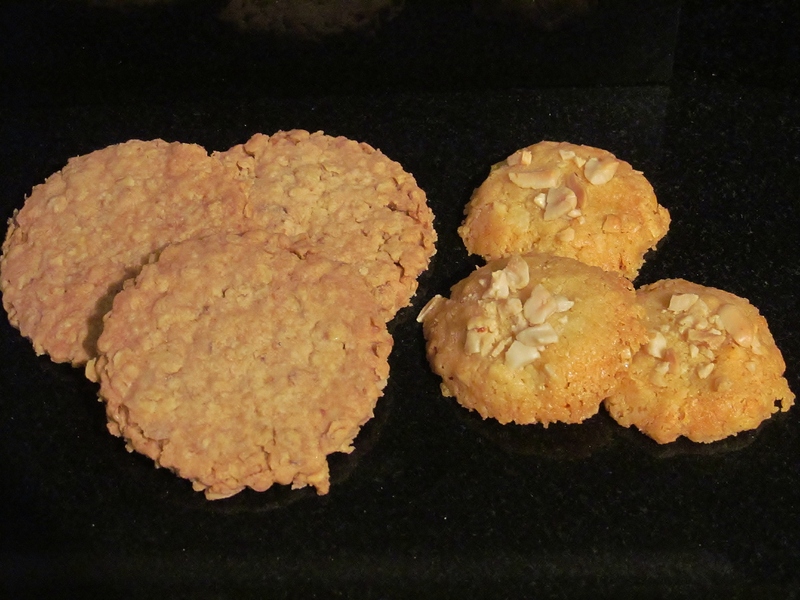 Anyway, I didn’t want to miss a week, so decided on the oats biscuits recipe and then decided I liked the Dorchester biscuit recipe too so decided to do another ” 2 for 1″ recipe weeks. The oats biscuits , Mary claims are a relative of the digestive biscuit, kind of but I think they are more along the lines of hob-nobs and Mary, I rolled, and re-rolled, but I couldn’t get 16 biscuits out of my mix! I managed 12 and I think I got a pretty even bake so I was happy with them. 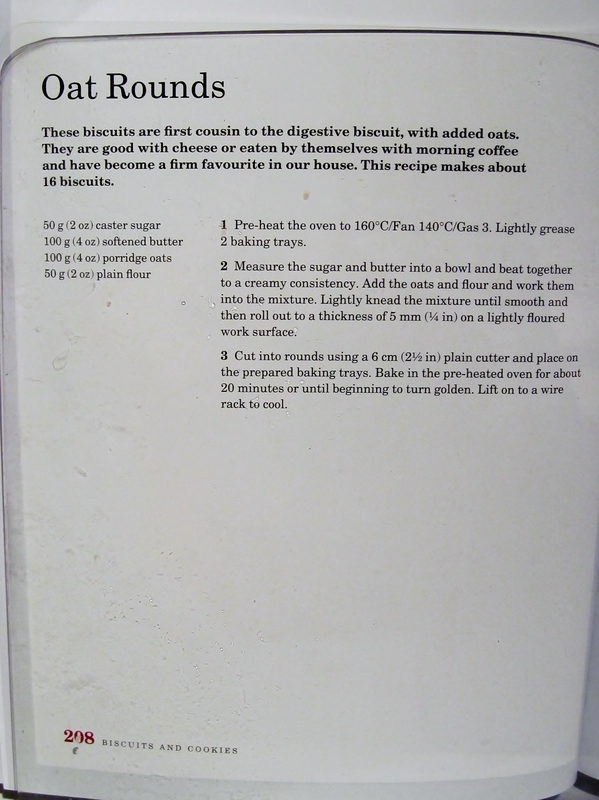 The Dorchester biscuit, I had never heard of but it was a savoury kind of biscuit so I went with it, made the mix and Mary then recommends that you roll “walnut” sized balls, and slightly press them down, sprinkle some crushed nuts on the top and you should get about 30 out of your batch? Really? I think my idea of walnut size and Mary’s are quite different! 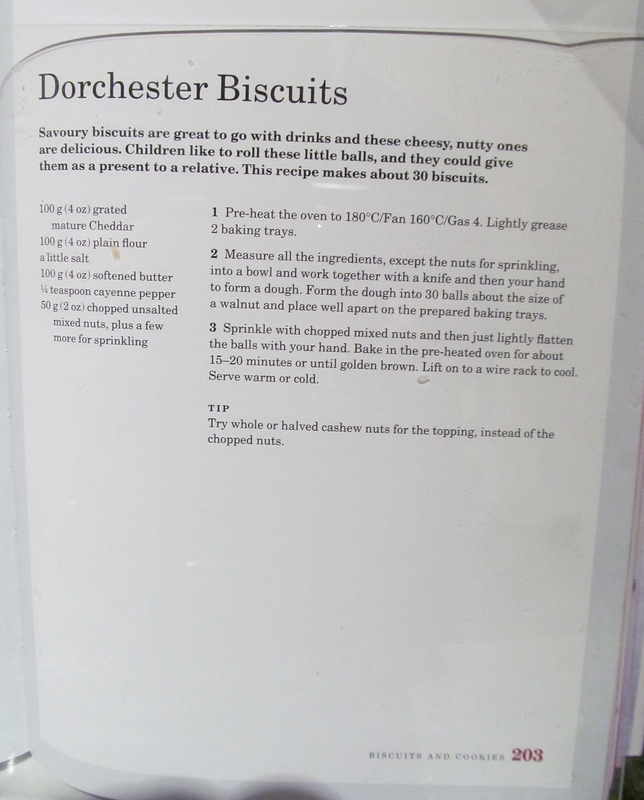 Any way, the Dorchester biscuit is a strange entity, it kind of thinks it’s a cheese straw but with added nuts, but I thought although unusual, they were rather scrummy! This entry was posted in Kim's cake challenge and tagged Biscuit, Cook, Digestive biscuit, Dorchester, dorchester biscuit, HobNob, Home, Kim's Cake Challenge, Mary Berry, Oat, oat round biscuit, Recipe by kimsideas. Bookmark the permalink.